Creative approaches to teaching and learning are increasingly being used throughout Higher Education and beyond. Earlier this month I chaired the latest SEED “Teaching Matters” session, which provides lectures with a chance to gain new insights and share experiences. 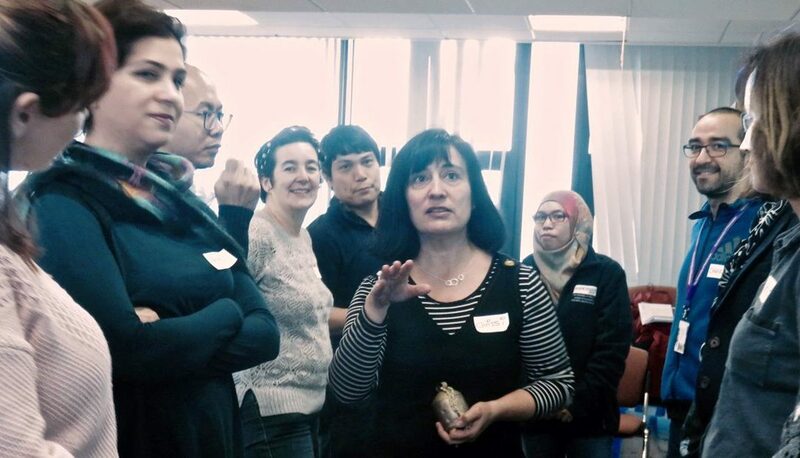 In a highly interactive workshop, Dr Chrissi Nerantzi from the Centre for Excellence in Learning and Teaching, Manchester Metropolitan University helped us to explore the use of board games to enhance learning and teaching activities. Dr Nerantzi shared ideas about how to create stimulating and playful learning experiences for our students that foster inquiry, creativity and collaboration. Participants were introduced to the playground model and were encouraged to scaffold a series of hands-on learning activities. The session enabled participants to experience, explore and experiment with existing board games and also to consider the co-creation of new ones for use with colleagues and students. We are grateful to Chrissi for facilitating such an engaging and informative event and to Drew for helping us promote the session through the Teaching Matters seminar format, which was very well received by all present. It is really a very interesting session. It inspires me with the application of board games into teaching and learning in the HE contexts. It also provides a good opportunity to share teaching and learning ideas and experience with other colleagues. This was a very interesting, creative and useful session. I really liked the way Dr. Chrissi organised the workshop, discussion and sharing in the session. We had a chance to expand our ideas how to use board games to apply in various classroom scenarios and how playful learning can benefits learners. Very impressive to see new teaching ideas being promoted among our lecturers. This is an interesting session. It provides ways to combine teaching, leaning and playing together. More importantly, it inspires innovation and creative thinking.